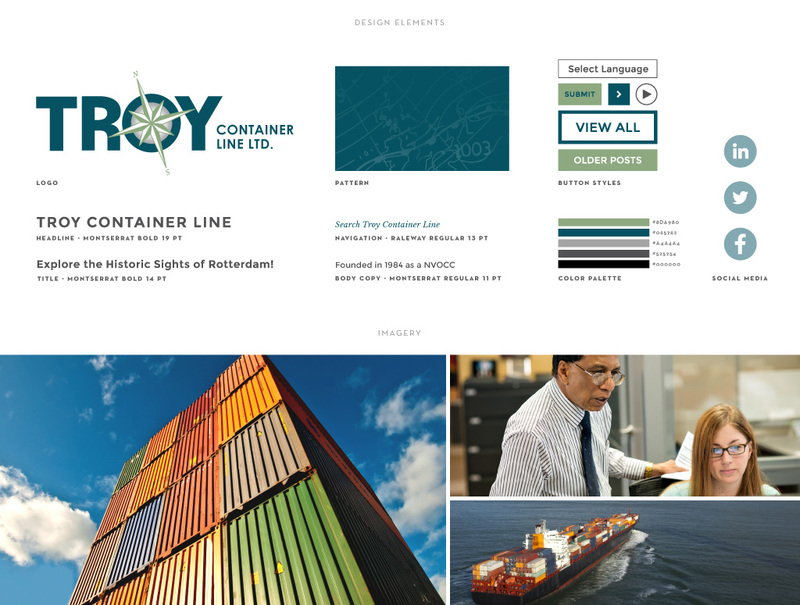 An international shipping company based in Red Bank, New Jersey, with an import office in Charlotte, North Carolina, Troy Container Line called upon M studio to reinvigorate the company’s overall look and feel to better reflect its standing as an industry-leading NVOCC. Tackling the visual rebrand first, our graphic designers developed a custom business logo design for the international transportation company. Inspired by global trade routes and navigation systems, the logo was paired with a new tagline – “Tradition Built from Trust.” Drawing strength from nautical elements, the M studio designers integrated the new brand into a custom developed website as well as new marketing collateral. 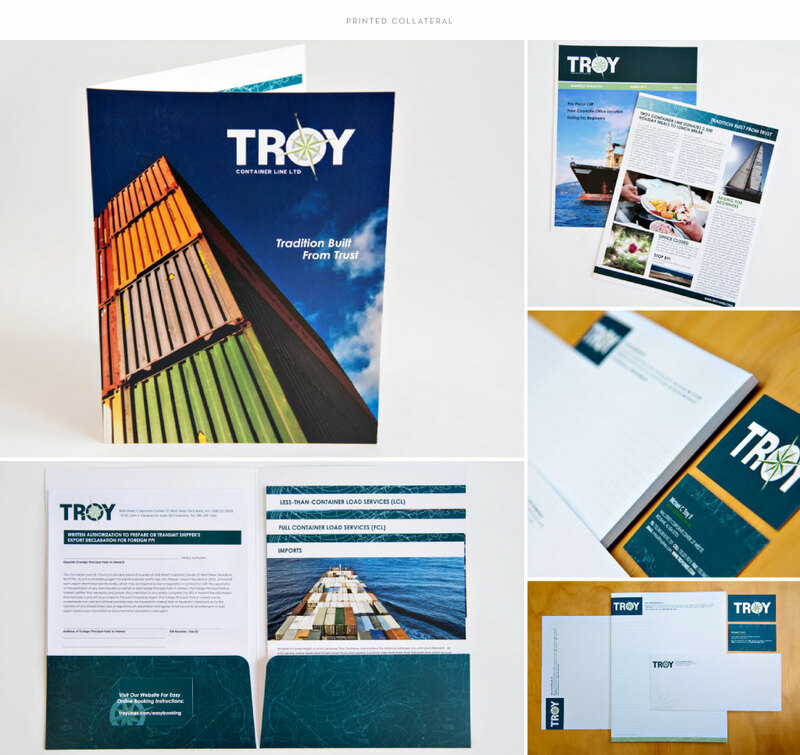 M studio’s photographers and videographers captured the essence of Troy Container Line via company profile and service videos, employee portraits, and photo and video of the company’s team in action. 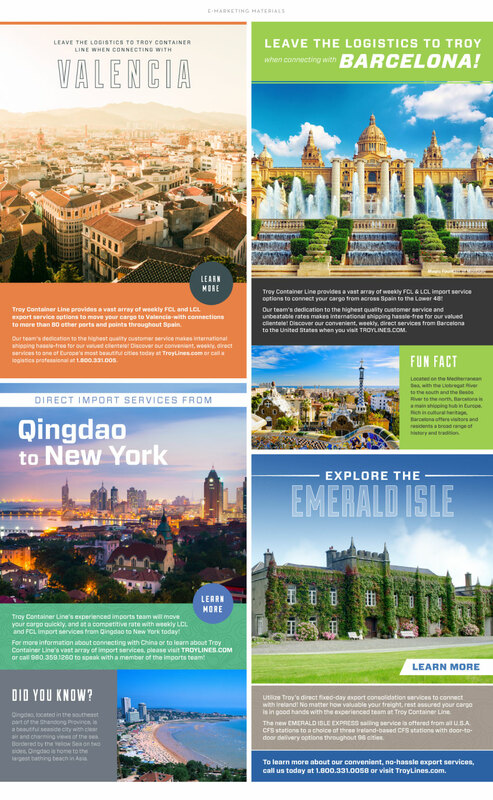 Simultaneously, as new design elements were put in place, M studio’s public relations team developed new website copy and executive profiles. Media outreach quickly followed, and by-line articles were secured in The Washington Post. Trade journals such as the American Journal of Transportation and the Journal of Commerce were kept informed of new service announcements, company news, updated warehouse locations, and more. 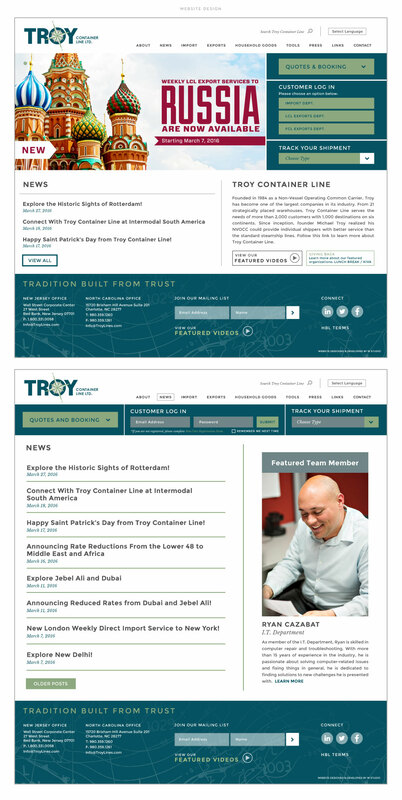 Recognizing the need to communicate with Troy’s loyal, international customer base, M studio launched bi-weekly e-marketing campaigns that kept fans and followers informed of service destinations. 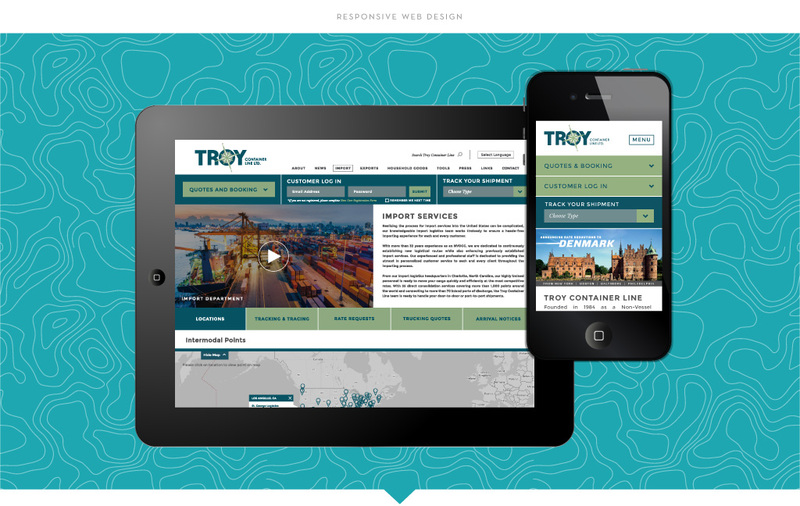 To enhance the work of the design and PR teams, M studio’s social media managers utilized LinkedIn, Twitter, and Facebook to consistently communicate with Troy’s B2B customer base.